Fiji is still out of the Pacific Islands Forum (PIF). This was the reaction of the Prime Minister, Voreqe Bainimarama, when asked by the Fiji Sun after the first Cabinet meeting yesterday at the Prime Minister’s Office. He said Fiji had made its conditions known about its return to the forum. “We will stick with these conditions until we hear from what PIF had decided for us,” he said. Fiji was suspended from the forum since 2009 following the change of government in December 2006. At the PIF meeting in July in Palau, forum secretary general, Tuiloma Neroni Slade, told PACNEWS that Fiji’s suspension from the 16-member group was a ‘traumatic’ experience for member countries. 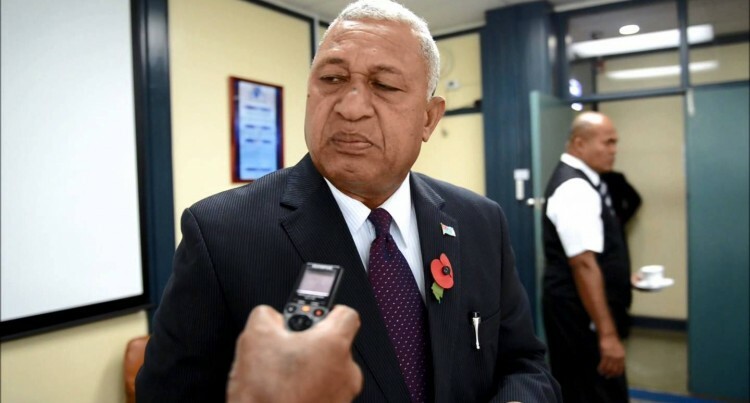 However, he said, after the successful general election, the Forum Ministerial Contact Group would now have to make an assessment on whether Fiji should be re-admitted. Mr Bainimarama said the ball was now in the PIF’s court. Fiji had led the establishment of the new Pacific Islands Development Forum (PIDF). He adds that Fiji no longer believes that the Pacific Islands Forum, in its existing form, adequately serves the interests of all Pacific islanders. The Prime Minister says one of the conditions is that Australia and New Zealand must not be members.